Financial aid may be available in the form of WIA benefits from your state. 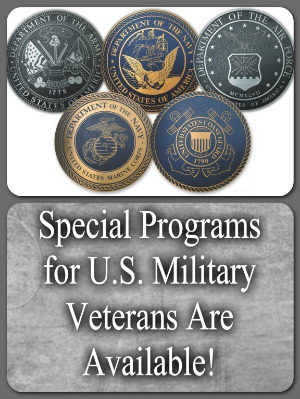 Veterans of military service are also eligible if approved through Post 9/11 funding or other veteran funding. Call us today for more details. As a privately owned trade school, our tuition is not covered under federal student loan programs or federal/state government grants. The good news is that Casey & Son Horseshoeing School Graduates finish school with no student loan debt! We do everything we can to help students manage the cost of tuition by making affordable payment arrangements and allowing students to pay as the go. Call the office to learn more. Call us today to discuss your payment options or other funding. We're happy to answer your questions! This is a federal funded program available in every state in the U.S. We are approved through the Georgia Workforce System in the State of Georgia under the East Central Georgia Consortium. This can be verified by going to www.careeronestop.org. Our provider number is 329. It is legally called the WIA/Title I Adult/Dislocated Worker Program Vendor Agreement 13-03-ADW-329. This is a program for individuals who are in a career change due to layoffs, etc, or low income, who desire to be "retrained" by attending a school and then be placed in employment in your area so you can give back to the community as a means of supporting the residents there. Each state is divided up into regions, and each region is designed to make their own rules and regulations depending on their needs in the community. Where are the WIA offices? Contact your local region by calling or visiting your local Department of Labor office also known as the Unemployment Office. There you will go through several interviews to see if you are eligible for the funding. Then you will be asked to choose the school you would like to attend. TIP: As a professional farrier you are self-employed. Many of these WIA funding regions will not fund self-employed individuals, only those who can be "placed" in a job with a specific employer in your area. Don't forget to click here! learn why we are Number 1!